Since the Real Estate (Regulation and Development) Act, 2016 came into force, Gujrat is among the top states in implementation and adoption of the new realty law. Gujrat being one of the State wherein the Real Estate Regulatory Authority has been functional since the inception of the RERA Act, has given substantial relief to the home buyers against the errant and unscrupulous actions of the builder. Gujarat RERA with the motto of complete justice has strived its best to facilitate the growth and promotion of a healthy, efficient and competitive real estate sector while protecting the interest of the home buyers, promoters and real estate agents. As of now, overall 3880 real estate projects have been successfully registered under the Gujarat RERA. On the other hand the Authority has issued certificates to 702 agents, till now. That after the registration of the projects it has become much easier for the Authority to resolve the grievances of the home buyers in a time bound manner. 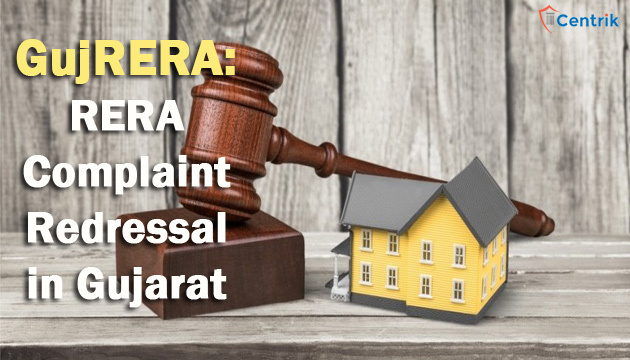 Further the filing of the complaint before the Gujarat RERA is not a tedious task now, as the aggrieved home buyer can now submit their complaint online by paying a minimal sum of fees and further can take the service of a professional for the adjudication of their complaint before the Authority. Once the complaint is taken up by the Authority it hardly takes a few months for the final disposal of the Complaint by the Authority and 60 days’ time period in case the matter is before the Adjudicating officer. The Authority understandings the situation the aggrieved homey buyer gives them ample chances of being heard before them, they try and understand all their problems and after formulating & considering the same pass an order to that effect. Till date the Gujarat RERA has been able to solve the grievances of more than 65 Complainants by disposing off their cases in fast track manner within a tenure of one year only. With such great progress, it certainly can be asserted that Gujarat will emerge as a State free from all real estate encumbrances and problems. Disclaimer – Please note that the above articles is based on the interpretation of related laws and judicial pronouncement which may differ from person to person. The reader are expected to take the expert opinion on the matter.